Is Scottevest 7.0 the biggest smartphone case ever, or a really dorky jacket? With colder weather approaching, many of us are already thinking about preparing the right clothes for the season. The most important criteria are that the clothes must be both stylish and functional. So when we caught wind of the Scottevest Fleece 7.0 jacket, we couldn’t help but wonder: is this thing technically just a fleece with cool features, or the biggest gadget case ever? Here’s how Fleece 7.0 (we didn’t realize there were that many versions before) works. As many of you will be stuffing your hands inside your jacket pocket during the winter, it’s only convenient that you don’t have to remove your hand from that warm little nook when your smartphone rings. Instead of pulling your phone out, removing your non-conductive glove, and checking your messages, you can just flip the pocket over to reveal a transparent fabric that will allow you to access your phone without pulling it out of the pocket. The Quick Draw pocket, as Scottevest coins it, is made with Clear Touch fabric that is conductive enough to let you control your touchscreen device through the layer. Whether this will interfere with your screen while the phone is just rubbing against your belly, however, we’re not so sure, so best keep your phone on lock. Aside from the Quick Draw pocket, Scottevest Fleece 7.0 also has a myriad of pockets to store all your must-have gadgets on the go. Basically, it’s another way to get on a flight without checking your bag for just tech accessories alone. 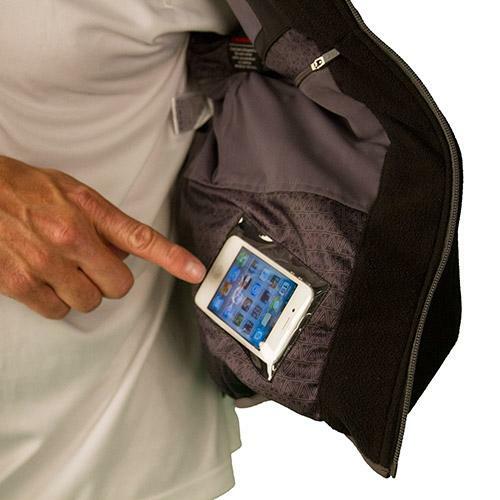 With a whopping total of 23 pockets, including a loophole for your earphones to hang at the collar while connected to your pocketed device and a pocket big enough to hold an iPad and a water bottle, Fleece 7.0 seems like a surefire way to keep warm — whether from the heat of your gadgets or the fleece itself. The jacket sleeves are also removable to convert into a vest for those comfortable autumn days. 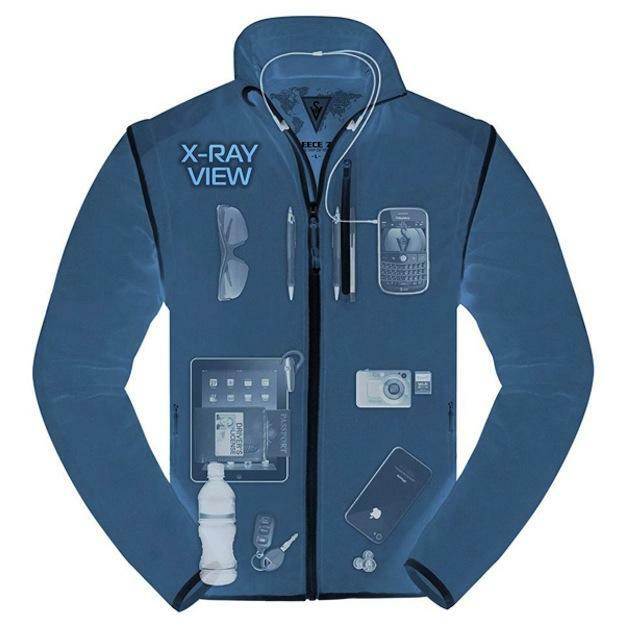 While the idea of novel and technically useful, in terms of real world practicality, this jacket might just make you the biggest geek ever. Can you imagine hugging someone with your iPad sitting at your ribcage? What about the square body shape from all the stuffed gadgets in your jacket? For the die-hard gadgeteers, perhaps function defeats style. We’ll leave you that thought to ponder while we slip back into our no-pocket fleece blanket with a nice cup of tea. Ah, fall. 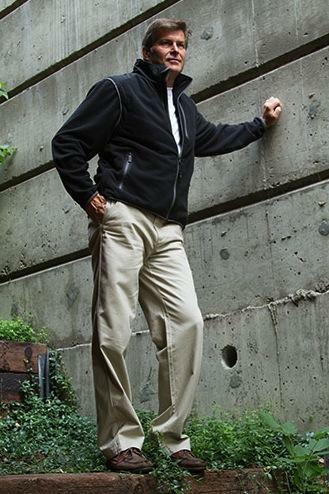 Intrigued by the Fleece 7.0? The item is available for pre-order today at $160 in your choice of black or red fleece, with a shipment date estimated for the end of the October.